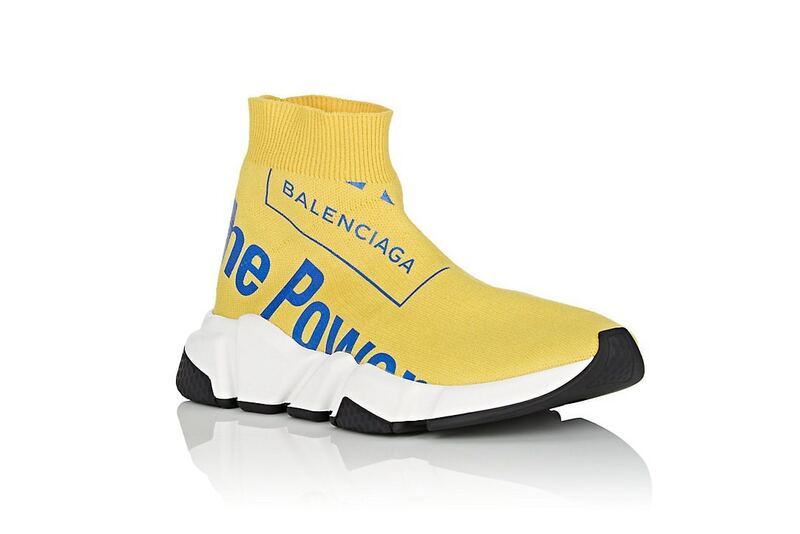 Balenciaga‘s Creative Director Demna Gvasalia has shared a new yellow slip-on sneak printed with the message “The Power of Dreams”. These runner’s stretch yellow knit and provide lightweight construction for speed and comfort. Complete with logo branding, the sock-like upper sits on top of a white textured sole. Dope or Trash?